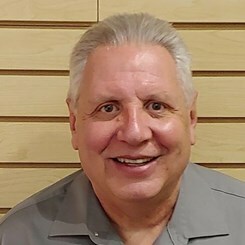 I'm Dave Colella and I strongly encourage everyone to come to Music and Arts in Canfield for all of your musical needs from instruments to accessories to full service repairs. I have worked in the music industry for ten years prior to which I was a music educator in several public schools in this area. Myself and the staff here are all very knowledgable of our products and will be able to help you find anything you may need. Please come visit us and feel free to browse the store in a comfortable friendly atmosphere.